The air is humming with buzzwords like “life-long learning”, “automation” and “upskill” at the Estonian presidency’s Future of Work conference in Tallinn. 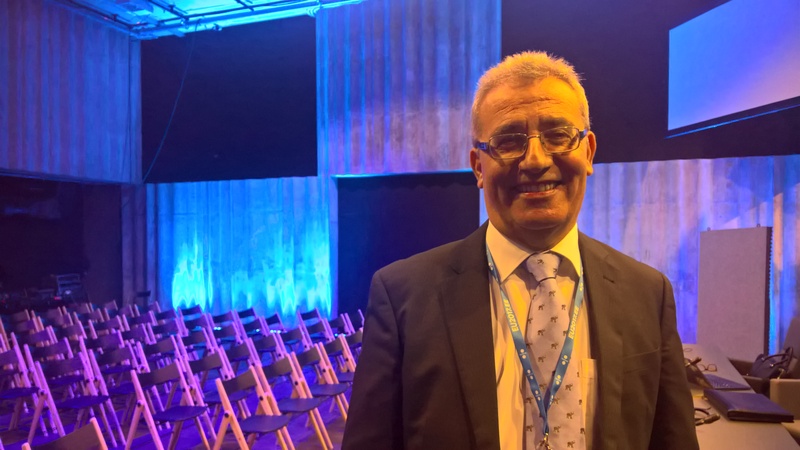 Netopia found a quiet corner to talk to Malta’s minister for education and employment, Evarist Bartolo, and find out about the policy realities behind the theory. Will automation take away more jobs than it creates? Or will productivity increases create new opportunities faster? We must be prepared. What we must not do is have a type of “technology fatalism”. It is still to early to say, but drawing from history we know that modern technology destroys jobs but also creates new jobs. There is no reason to think things will be different this time. We must be prepared. What we must not do is have a type of “technology fatalism”. Technology is not a hurricane that we can’t do anything about other than run from. It’s something people are leading. Automation and globalisation are driven by humans. We must move away from the idea of inevitability. It’s simply not accurate, whether we talk about technology, automation and globalisation. We ask the question “where is it going to take us?”, but instead we should ask “where do we want to go?”. The human factor is important. If I visit a workplace, say a factory. The manager says with pride that he used to have twenty people working, but thanks to automation now only five. Then we have to ask “what happened to the other fifteen?”. We have a responsibility toward the fifteen others. Not simply saying it’s their problem for possessing the wrong knowledge or skills. It is our responsibility. Whether we are in government, company, politics, employer organisations, labour unions, it is a shared responsibility. It is short-sighted to talk about employment, let’s talking about human beings. If we exclude them from the workplace, we usually exclude them from society – from democracy – too. This leads to populism. Things like Brexit and Trump are not causes, but the effect of not caring about what happens to a disenfranchised workforce. We must oversee the processes and what they do to people. It is our duty to do so. What is the main driver of change: Globalisation? Policy? Demography? Technology? Business decisions? Or something else? It would be a mistake to try to isolate one factor. It is complex reality, with a lot of different factors. The answer is to see it as a system. Many different factors exist and interact. And they change while they interact. It is a complex function. Apart from the factors you have mentioned, I would add another very important one: People are on the move; across borders. It is inevitable and irreversible, we should prepare more for it. What is most important is the human factor. There is a tendency, especially with neo-liberalism that it is old-fashioned to talk about rights, to take care of people in the work place. There is a tendency, especially with neo-liberalism that it is old-fashioned to talk about rights. Where to be modern is to look at people as production units in the workplace. I don’t like the term “human capital” – why not talk about human beings? In this complex and very difficult situation, we live in one big uncomfortable zone. The big changes that are happening technologically, socially, politically, economically, should tell us we need to prepare ourselves better for how to live in an uncomfortable zone. When things were more stable, we knew the borders, we knew the destination in our lives. School prepared us for work. Now the destination is unknown. Now it is a voyage. We must prepare emotionally, socially, culturally, technologically and keep in mind the complex reality. Let us develop our ways on how to live in a complex way and not simplify. There are no simple solutions. What is the role of policy makers? It can be comfortable for policy makers to say that things are changing fast. But we should try to understand what is happening now and tomorrow and to take policy decision which address problems that are arising. One of the biggest duties of policy making is to listen to those who are silent. In our current processes, strong people are in a good position to lobby, to influence, to go on social media and express what they think should be done. But there is also a segment of society who are silent, who cannot organise. It is easy to lose touch with them. There is a risk to allow to populists to fill the vacuums that democratic policy makers leave. We must try to understand what is going on, engage with all of society, discuss, debate, ask, try to listen to answers. One of the most important roles of policy makers is to listen and to understand that decisions will influence the lives of people who we will never see. Take Grenfell Tower in London, for example. Somebody thought it was important for the tower to be clad to improve its appearance in order maintain the value of neighbouring properties. I’m sure it was taken as technical decision. However, nobody asked: “have we checked if it is fire-proof?”, “are the fire alarms are in place?”, “are there emergency exits?” – the decision was taken without looking after the human consequences. Whatever decision we take, whether it is about diesel emissions or quantitative easing: whatever it is, it will affect human beings. So we must try to engage as much as possible. It is obvious maybe, but people matter.